Hotel pickup and transfer to Shanghai airport; fly to Guilin. Be greeted by Guilin local tour guide at the arrival hall of Guilin airport. 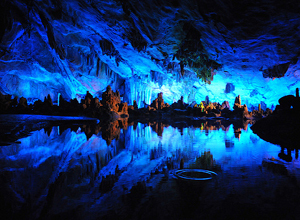 Then begin Guilin city sightseeing with the Reed Flute Cave. The cave is known as “the Palace of Natural Arts” that are formed by different shapes of stalactites and stalagmites. Then visit Fubo Hill which has lots of rock stone carvings and Buddha statues since the Tang Dynasty. It is also a good place to have a bird’s view of Guilin City. Move on to visit Elephant Trunk Hill-the symbol of Guilin.The whole hill looks like a giant elephant with a long trunk, with its body half in water and half on land. After the tour, be transferred to airport to fly back to Shanghai. Upon arrival, Shanghai airport to your hotel transfer. I am in Shanghai and would like to book your tour (Tour Code: BTG-SGT-101) on 19 Apr (Saturday). Can you let me know what is the total price for one person including pickup from and back to hotel. Let me know how to make payment.